Lammas is the time of the early grain harvest. 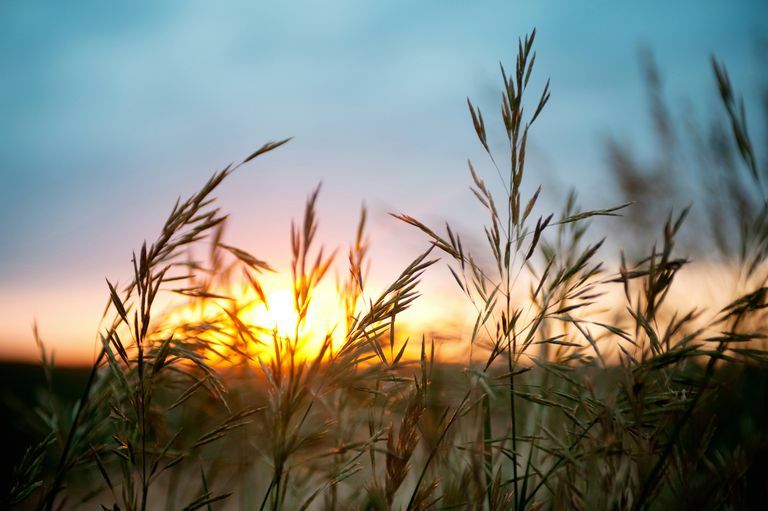 Looking for rites and rituals for your Lammas or Lughnasadh celebration? Here's where you'll find ways to celebrate the harvest, honor the gods of the fields, and pay tribute to the Celtic god Lugh. Celebrate the harvesting of the grain at Lammas. Lammas is a time of celebrating the beginning of the harvest, a theme seen often in the sacrifice of the grain god. Make a sacrifice of your own this Lammas, with this bread ritual that marks the beginning of the harvest. Grain is the heart of Lammas, and the beginning of the harvest season is a milestone in many societies. Once the grain is threshed and milled it is baked into bread and consumed, honoring the spirit of the grain god. This ritual celebrates both the harvest and the sacrifices we make each year, as well as the sacrifice of the grain god. Decorate your altar with symbols of the season – sickles and scythes, garden goodies like ivy and grapes and corn, poppies, dried grains, and early autumn foods like apples. For this rite, you'll need a loaf of Lammas bread and a cup of wine or water. You'll also need pieces of straw or other plant material, enough for each person in the ritual to make a small doll, and some yarn or string to tie the dolls together. Finally, you'll need a fire. You can either have a large bonfire, or a small tabletop fire in a pot or brazier. It is the time of the harvest once again. Giving us strength in the months to come. We now create dolls in our image. so that we may thrive and flourish later on. vegetation returns to the earth. asking them for their blessings. and are sacrificed as part of the cycle. Raise energy by circling your fire or altar three times, building speed each time (move counter clockwise, against the pattern of the sun, because it's the end of the harvest season). When the raising of energy is complete, each person in the group approaches the fire, one at a time, and casts their doll into the fire. They can either say out loud what their sacrifice will be this year, or speak it only to themselves and the gods. As each doll is placed in the fire, direct leftover energy into the flames as well. and through the summer watched them grow. and now we are blessed with abundance. For the gifts yet to come. and honor you for your sacrifice. May you reap the blessings of the harvest. Once everyone has eaten their bread and sipped from the cup, take a moment to reflect on what you have harvested for yourself this season. End the ritual as you normally would or move directly into a Cakes and Ale ceremony or other rites you wish to perform. Lugh was known to the Celts as a god of craftsmanship and skill -- in fact, he was known as the Many-Skilled God, because he was good at so many different things. In one legend, Lugh arrives at Tara, and is denied entrance. He enumerates all the great things he can do, and each time the guard says, "Sorry, we've already got someone here who can do that." Finally Lugh asks, "Ah, but do you have anyone here who can do them ALL?" Before you begin, take a personal inventory. What are your strong points? Everyone has a talent – some have many, some have one that they're really good at. Are you a poet or writer? Do you sing? How about needlecraft, woodworking, or beading? Can you tap dance? Do you cook? How about painting? Think about all the things you can do – and all of the things you'd like to learn to do, and the things you'd like to get better at. Once you sit down and think about it, you might be surprised to realize how accomplished you really are. Decorate your altar with items related to your skill or talent. If your skill relates to something tangible, like sewing or jewelry-making, put some of your craft supplies on the altar. If it's an ability to DO, rather than MAKE, such as dancing or singing, put some symbol of your ability on your altar. Do you have a favorite outfit you wear when you dance? A particular song lyric that you know you're fabulous with? Add as many items as you like to your altar. You'll need a candle to symbolize Lugh, the god. Any harvest color is good, because he came up with the idea of a grain festival to honor his foster mother, Tailtiu. Place the candle on your altar in the center. Feel free to add some stalks of grain if you like – you can combine this rite with one honoring the harvest, if you choose. Light the candle, and take a moment to think about all the things you are good at. What are they? Are you proud of your accomplishments? Now's your chance to boast a little, and take some pride in what you've learned to do. and paint beauty with my brush strokes. **Obviously, you would insert your pride in your own skills here. At this time, you should make an offering of some sort. The ancients made offerings in exchange for the blessings of their gods; quite simply, petitioning a god was a reciprocal act, a system of exchange. Your offering can a tangible one: grain, fruit, wine, or even a sample of your skillwork – imagine dedicating a song or painting to Lugh. It can also be an offering of time or loyalty. Whatever it is, it should come from the heart. Take a few more moments and reflect on your own abilities. Do you have faith in your skills, or do you deflect compliments from others? Are you insecure about your abilities, or do you feel a surge of pride when you sew/dance/sing/hulahoop? Meditate on your offering to Lugh for a few moments, and when you are ready, end the ritual.